You’ll find the Japan of your imagination – immaculately raked gardens, quiet Buddhist temples and mysterious Shintō shrines – waiting for you all across the archipelago, even in the ultramodern capital of Tokyo. Kyoto You could stay in Kyoto for a month and see a different garden, temple and shrine each day. If you’re after traditional Japan, you could spend your whole trip here and not get bored. Nara A short hop, skip and jump from Kyoto, Nara is a compact wonder of a city that some consider the birthplace of Japanese culture. 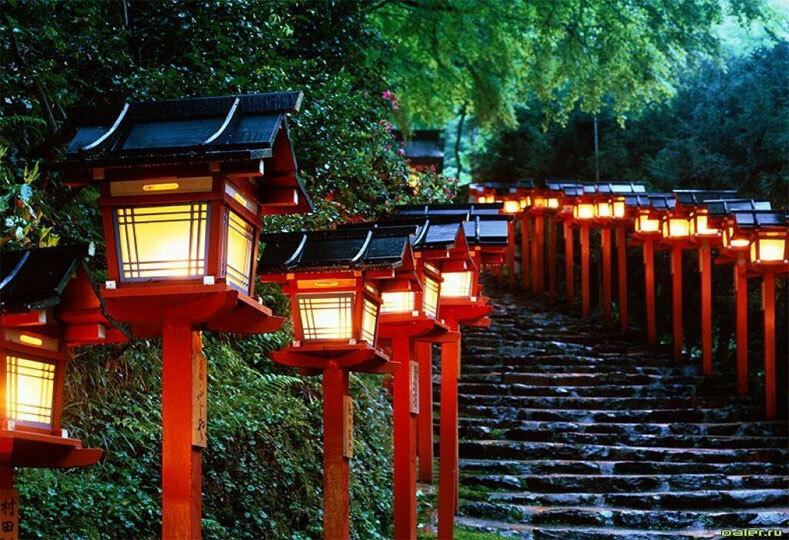 It has some of our favourite gardens, temples and shrines. Kanazawa Some call this small city on the Sea of Japan coast a ‘mini-Kyoto’, but Kanazawa isn’t a ‘mini’ anything – it’s big on temples and has one of the best gardens in Japan: Kenroku-en. Tokyo That’s right: amid all that concrete and neon there are some wonderful hints of traditional culture. If you can’t make it to Kyoto, the capital has enough to satisfy the craving for ‘old Japan’. Who doesn’t come to Japan to eat? And we don’t just mean ‘extreme eating’; we mean some of the food you might have tried back home, only much better versions. Then there’s all the new stuff to try – and did we mention really good sake? Tokyo With more Michelin stars than any city on earth, this is the place for the best Japanese food in the country. And, if you need a break from local cuisine, some of the best French and Italian food you’ll find anywhere. Tsukiji Tokyo’s fish market deserves its own entry. Simply pointing out that it’s the biggest in the world doesn’t begin to convey the size, variety and excitement of the place. If you enjoy eating or cooking, you’ll enjoy Tsukiji. Kyoto If you want to sample kaiseki (haute cuisine) in traditional surroundings, or dine with a geisha, this is the place. And don’t forget the Japanese sweet shops and the wonderful old Nishiki food market. Depachika Department-store food halls in Tokyo and Kyoto are the best food shops on the planet. Be prepared to get hungry, get overwhelmed and get lost. When you think of going overseas to hike, Japan probably doesn’t rank near the top of your list. But Japan has some brilliant hiking and a reasonably priced hut system that rivals anything you’ll find elsewhere. Whether you fancy a week-long hike across the peaks with nothing but a daypack or just a few good strolls in the hills between bouts of temple-hopping, Japan will definitely satisfy. Japan Alps The Japan Alps in Central Honshū form the roof of Japan. If you like big peaks, grand scenery and long walks, this is the place. Hokkaidō You’ll find some seriously rugged hiking on Japan’s northern island. From incredible coastal treks to the famed Daisetsuzan Grand Traverse, Hokkaidō is a destination for nature lovers. Kyūshū If the whiff of volcanic gases and the threat of an occasional eruption adds a certain frisson to your hiking, you’ll love the volcanoes of Japan’s southern island of Kyūshū. Kumano Kodō Head down to the wooded wilds of southern Kansai to follow the ancient pilgrimage path to the shrines and hot springs of Hongū. For anyone with an interest in Japan’s feudal era (think samurai, shōguns and daimyō ), a visit to a Japanese castle is sure to get the imagination working. Kids, in particular, find them fascinating. The Japanese word for ‘castle’, by the way, is jō. Himeji-jō The queen of all Japanese castles, the ‘White Heron’ is presently undergoing a multiyear renovation and the main keep is under wraps, but it’s still an interesting stop for castle fans. Hikone-jō Within easy day-trip distance of Kyoto, Hikone-jō is a beautiful castle that makes up for its lack of size with a fine view and graceful lines. Osaka-jō It’s not original and it’s not subtle, but it sure looks good from a distance or when the cherries in the surrounding park are in bloom. Matsuyama-jō Dominating the city of Matsuyama on the island of Shikoku, this is easily one of Japan’s finest original castles. Shuri-jō Way down in Okinawa, this rebuilt castle is a completely different kettle of fish from its mainland cousins – the Chinese influence is clear. If you’re tired of coming home from a vacation and feeling like you need a vacation, you should try a Japanese onsen holiday. Spend some time soaking in a few of Japan’s great onsen or, better yet, in an onsen ryokan (a traditional inn built around a private hot spring) and you’ll arrive home recharged. Kinosaki Japan’s classic onsen town is everything an onsen town ought to be: quaint, friendly and packed with homey ryokan. Walk from one great bath to another in your yukata (robe) and don’t miss the crab cuisine in the winter.